Do we know everything there is to know about our world, or are there more mysteries to uncover? Septembryo‘s latest album, Nightmares, explores the theme of the law of attraction. From the dark side. 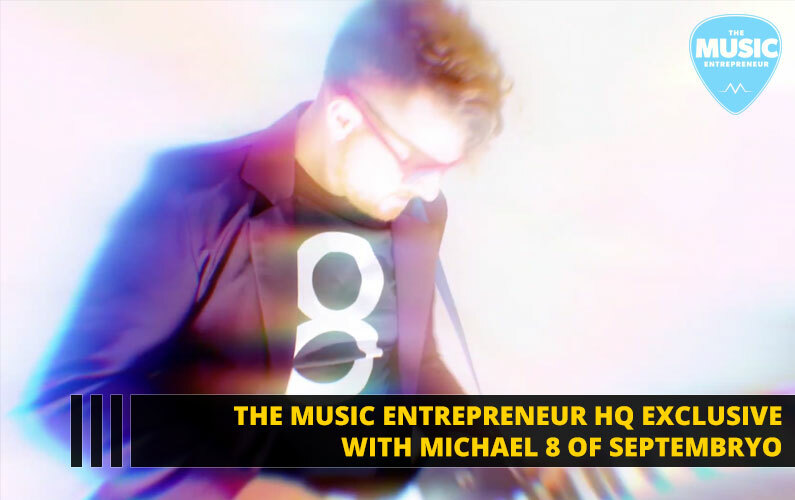 In this The Music Entrepreneur HQ exclusive, Michael 8 shares about his now released album, comic book series, what’s to come in 2020 and more. My name is Michael 8 and I am the singer/songwriter/producer behind Septembryo’s music and writer/co-creator of the Septembryo comic. 2. Branding certainly seems to be one of your strong suits. How did you build your brand? It took years for me to discover and refine my brand. In the beginning it was really hard to answer the question, “What makes your music different from everyone else’s?” Of course the answer to that, for everyone, I feel is, whatever makes you different from every other person. So, eventually I discovered that all the key elements of my brand were just various things that I myself, personally loved. However, even once I knew what my branding was, it was another battle entirely on just how to communicate that to others in a clean, clear and consistent way. From that point on, my branding became more focused through trial and error on social media platforms. Having a place to post daily and experiment with the different ways I could express myself to my fans was essential. In my case, Instagram was the platform that just seemed to click. However, I would encourage others to find what works for them and focus on that the most. You can have a presence on other platforms but definitely have one that feels like home for you and your followers. 3. Tell us about your key branding elements. What are they, and how did they come to be? A) The colors. Mainly teals, blues and purples. Followers of my Instagram will notice there’s been a slight shift in how these colors are being used with the release of my new album Nightmares and will notice another shift when the follow up Daydreams comes out in 2020. But regardless, the core elements of teals, blues and purples are always there. B) The sound. Septembryo’s sound has always played with a mix of electronic pop elements blended with punk and rock elements. What’s interesting to note is, with the newest album, the focus in the songwriting has moved from guitar to piano. Even still, with all the changes, the sound is still very much Septembryo, in that it plays with the dynamics of electronic pop and rock stylings. C) New age/Supernatural themes. The message and metaphors behind a lot of Septembryo’s songs are a key part of what defines Septembryo. I’m very much inspired by mysterious things like ghosts and UFO’s. What I get out of those subjects is, to me, a clear message saying that we don’t fully understand the world around us. Which then suggests we don’t fully understand ourselves. And what I love most about that concept is, if there is more to us than we know, it means we are capable of so much more than we know. And that is a very inspiring thought and it is essentially the root of everything I try to communicate to my listeners throughout my music and my comic. You are more powerful than you ever thought possible. D) The comic. Once all the other branding elements were in place, the comic seemed to naturally birth itself in those conditions. Bringing into hyper focus all the the previous elements while creating a new one of its own. The introduction of the comic medium into the Septembryo brand has opened doors to markets outside of music that I never would have thought to explore otherwise. There is a saying that has always stuck with me: “The hardest place to sell a book is in a bookstore”. With the music/comic combo I always stand out wherever I go. With people at rock shows getting excited about the comic and people at comic conventions getting excited about the music, they really help the other stand out. 4. One of the entrepreneurial aspects of what you do is comic books. Why did you decide to create a comic book series around your brand? 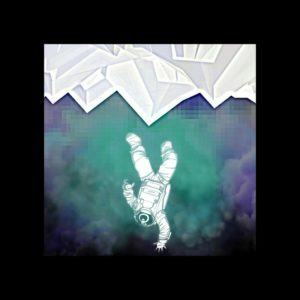 The creation of the comic was a very organic decision and at first was not at all connected to Septembryo’s music. I had already performed at the Stampede Corral for the comic expo, even before the book was being thought of. The subject matter of Septembryo’s music was very SciFi/paranormal in the way that so many comics and films were, so I knew I had a potential audience in that setting. Later while reading a series of books specifically about Astral projection and out of body experiences I began creating this entire universe in my head, even though at the time I had no means of creating a comic book. It was just so much fun I kept on developing it. Then coincidentally Roberto Duque (Who is now the co-creator/artist behind the Septembryo comic book) approached me to create a Septembryo comic. He pitched an idea for a comedic space opera involving an intergalactic battle of the bands. I loved the idea and agreed to do it. Afterward, I casually mentioned the coincidence that I had recently been thinking of an idea for a book. He became very curious and asked about the idea. When I told him, he got very excited and said, “Forget what I just said, we’re doing that idea” and just like that my idea was turned into the Septembryo comic. And it has since become a huge part of what people know Septembryo for. 5. Tell us about your forthcoming album. What can we expect? Nightmares is the first installment of a 2-part concept album about manifesting our future. While part two (Daydreams) will deal with the positive aspects commonly related to law of attraction, Nightmares reflects on elements not often acknowledged, including depression, loss, suicide, sleep paralysis, shadow people and death. Ambient synths and vibey beats provide the sonic backdrop to epic choruses that cry into the emptiness of large reverbs. Sonically and lyrically, Nightmares explores the rock bottom of human emotion while revealing our hidden ability to make our worst fears come true. There is also a documentary in the works about the making of Nightmares and Daydreams. The concept of using law of attraction to create an album about law of attraction. So far it’s been a very wild ride and I’m excited to see how the Daydreams process compares to Nightmares. I think when this film is done and released, it will add yet another dimension to the Septembryo brand, much like the comic has. I’m very excited to see what kind of ripples it makes within the various communities I’m involved in. Cool concept! I can’t wait to listen to Nightmares as well as the forthcoming Daydreams. And, if you have any thoughts or questions, be sure to leave them in the comments below.